After the big investment you made in your sprinkler system, it’s in your best interests to maintain it. 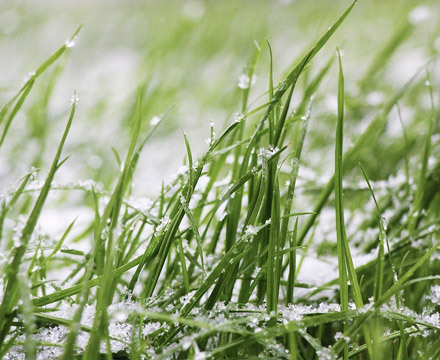 In Wheat Ridge, sprinkler winterization is the only way to protect your system from our harsh winters. 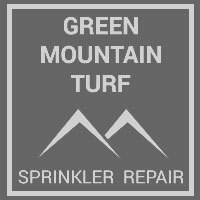 What Happens If You Don’t Winterize Your Sprinklers? Most people drain their sprinkler system and assume that there isn’t enough water left to actually do any damage. However, that’s not true. Even drops of water can create hairline fractures in PVC or poly pipe, that will become worse over time. Further, most sprinkler systems have peaks and valleys, instead of being completely level. The leftover water drops after you shut off the system are most likely to collect in those valleys. If the valley is above ground, or less than two feet underground, it will be much more sensitive to the slowly dropping temperatures. In late fall, it will freeze over every night and melt during the day, slowly cracking the pipes. If water collects in part of the sprinkler system that is deeper underground, it will be less effected by early shifts in temperatures. In warmer areas, the ground this deep may never freeze. But we don’t have that luxury in Wheat Ridge. Later in the winter, water in deeper pipes will eventually freeze and can burst those pipes, which are much harder to get at to repair. Further, water drops will also get into the mechanics of the sprinkler system, the actual gears and sprinkler heads. While some of this water may evaporate before temperatures drop, if some remains, it will freeze and damage those as well. Instead of a quick and simple blow-out process, you’ll need to dig to repair or replace pipes, replace sprinkler heads, even the control system. Avoid all of that headache and call the professionals for sprinkler winterization in Wheat Ridge.